"Best present I've ever had. Can't think of a more personal gift or a more favourite photo I have in my house. If you have a dog, this is a must experience!" "Ursula is a World Class Photographer, what a fun day out too. 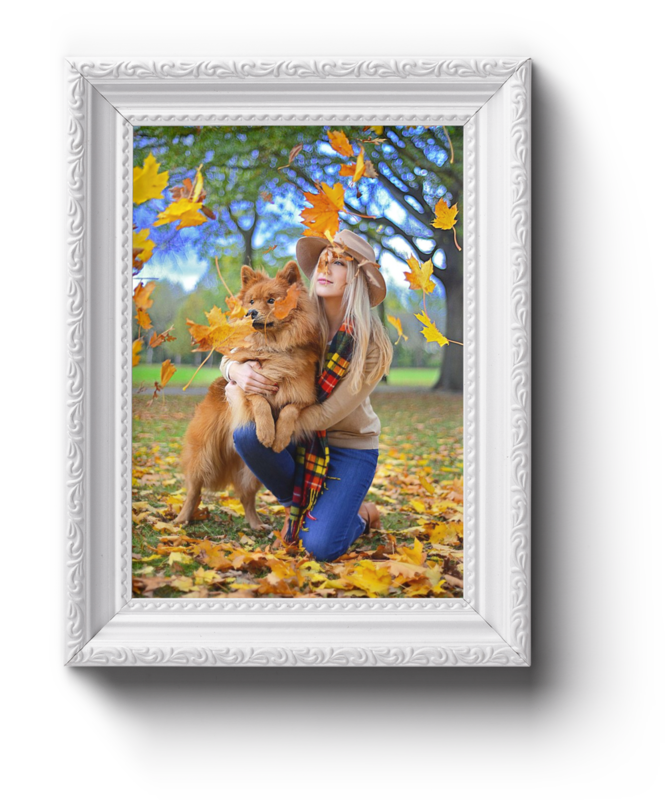 She made me and the dogs instantly feel at ease and I smile at the pictures every single day as they take pride of place in my hallway." 3 Beautifully hand crafted framed images of your favourite shots 10"x8"
Thank you! We have no doubt that dogs love you too!